Businessman Tilman J. Fertitta is setting a new standard of luxury, comfort, and elegance in the nation’s fourth largest city with The Post Oak Hotel at Uptown Houston, an opulent soon-to-be five-star property with such unique features as a two-level Rolls Royce dealership inside the 38-story tower, a dazzling lobby with art by iconic American artist Frank Stella, and a glittering 16,000-square-foot Grand Ballroom with a private entrance now debuts as the premier gathering spot for high society galas this spring. Fertitta, Chairman, CEO, and sole owner of Landry’s, Inc., Golden Nugget Casinos, and the Houston Rockets, has created one of the world’s premier luxury destinations in a lush 10-acre setting located in Houston’s tony Post Oak Uptown area, just steps away from The Galleria shopping mecca and a short drive to downtown Houston. The centerpiece of the development is The Post Oak Hotel, with 250 ultra-modern guest rooms – each over 500 square feet – and VIP suites, all with every possible amenity a guest could imagine, and dramatic views of the surrounding area. The hotel also includes a 5,000-square-foot Presidential Suite with a wraparound terrace, a private elevator, fitness room and catering kitchen; a 1,500-square-foot Post Oak Suite; and 22 superbly-appointed residential apartment units with full kitchens, washer and dryer, large walk-in closets, and deluxe accommodations that can be rented on a short or long-term basis. Upon entering the three-story glass lobby, guests will be mesmerized by a grand chandelier inspired by the Dubai Opera House. The cascading fixture was custom built in Czechoslovakia with 15,719 crystals, including 739 Swarovski crystal balls, and 1,428 LED light sources, and shipped to Houston for installation. The lobby, with custom Calcutta marble flooring, Ebony Woodridge stone pillars, custom fabric wall panels, a hand-tufted silk abstract rug, and so many spectacular works of art from Frank Stella that it is affectionately dubbed the “Stella Lobby,” also provides a spectacular view of the posh pool area through massive floor-to-ceiling windows. Other works of art from Fertitta’s private American art collection, include pieces by Robert Motherwell, Alex Katz, Donald Sultan, Joseph Glasco, Friedel Dzubas, and Howard Hodgkin, are strategically placed throughout the hotel, giving it a museum-quality feel. Four restaurants and bars on the first floor provide a wide array of dining choices, from fresh-baked pastries to haute cuisine. The dining offerings promise such an elevated level of culinary excellence that the hotel also will attract Houstonians looking for the newest and best that the city’s food scene has to offer. Celebrating their soft opening, Bloom & Bee, the hotel’s main restaurant, emphasizes fresh locally-inspired cuisine and H Bar now serves up light bites with fine spirits, exotic cocktails, and libations. Slated to open this week, Craft F& B will offer a variety of pub-style fare with wood-fire pizzas, delicious burgers, and craft brews while Bouchée Patisserie serves as the hotel’s patisserie offering freshly-baked pastries, specialty coffee and Parisian-inspired indulgences. 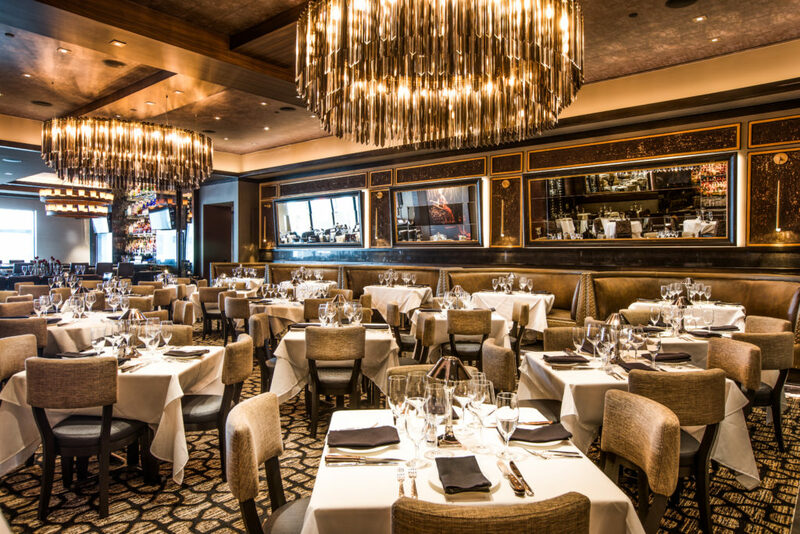 Adjacent to the hotel you will find two of Houston’s premier restaurants, Mastro’s Steakhouse and Willie G’s Seafood. 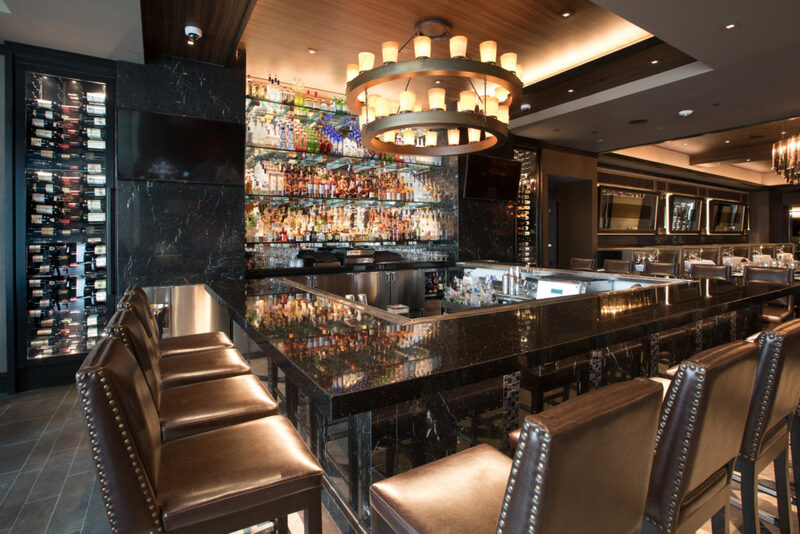 Since opening its first Texas location in late 2017, Mastro’s, the renowned steakhouse, has become the gathering spot for the glamorous see-and-be-seen crowd. Willie G’s Seafood, a Houston institution that relocated to The Post Oak Hotel in January 2018, features a breathtaking array of fresh seafood on display, from whole Gold Spot sea bass to gigantic Maine lobsters and fresh-shucked Gulf oysters, and offers dining options that range from casual and white tablecloth service to an outdoor terrace. Both Mastro’s and Willie G’s carry an extensive list of wines. If a guest is looking for something extra special, more than 20,000 bottles are available and can be quickly delivered to any of the property’s restaurants or the guest’s room from the hotel’s massive wine cellar, The Cellar at The Post Oak. With over 2,000 labels and rare vintages dating back to the 1800s, Master Sommelier Keith Goldston is available for recommendations on the very best wines from the cellar’s staggering $3 million inventory. The master-planned mixed-use project also features 11 stories of Class A office space as well as a designer retail boutique, chic salon, luxurious spa, and state-of-the-art fitness center. In addition to the two-story Rolls Royce showroom located inside the hotel, an on-property dealership, Post Oak Motors, offers one-of-a-kind Bentleys and Bugattis available for purchase or just admiring. The hotel’s luxury multi-brand boutique, 29° North, is now open on the first floor where guests and local fashionistas can find exclusive, first to Texas designers for men’s and women’s ready to wear, fine jewelry, accessories, and seasonal selections. Exclusive labels include Masion Ullens, Zeynep Arcay, Tortoise, Isaac Reina, Stubbs + Wootton, Ormonde Jayne, Carner, Globe – Trotter and Magglia Francesco, and more. 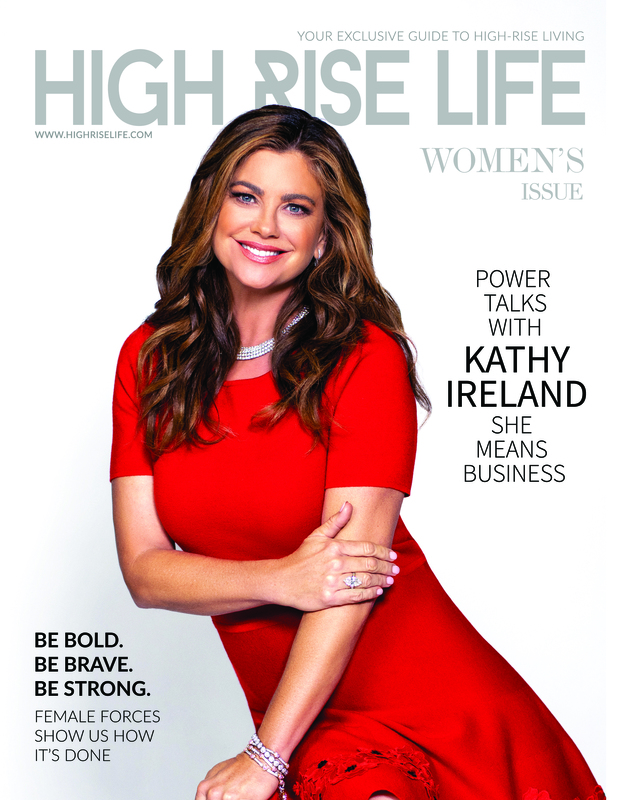 Guests will find unparalleled service as the hotel is on track to receive the state’s first prestigious Forbes Five Star rating reflecting the highest quality of service and accommodations expected by the discerning global traveler. Before their arrival, guests will be contacted to ensure that their every want or need is met during their stay at the hotel including preferred room temperature, allergy notifications and any necessary travel arrangements. And since it’s in Texas, expect the high-quality service to be cordial and attentive. For more information please visit www.thepostoak.com. 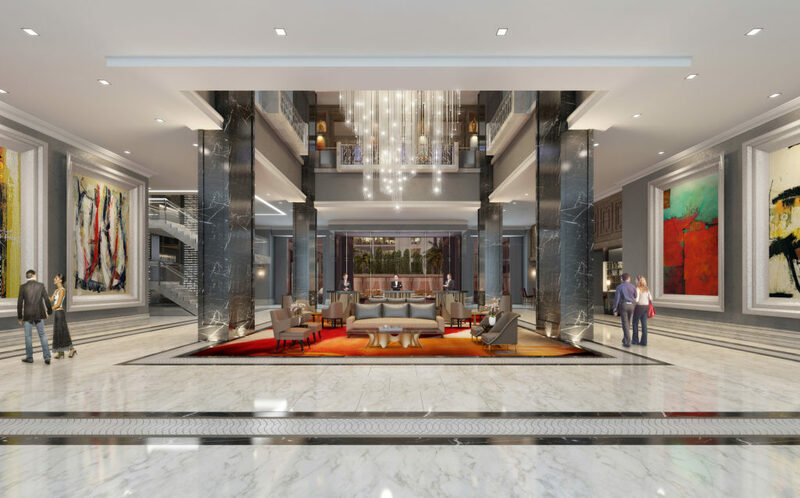 The Post Oak Hotel at Uptown Houston is Houston’s newest destination and singular mixed-use development for the discerning traveler. Set on 10 oak-studded acres, the sleek 38-story tower boasts 250 ultra-modern guestrooms and suites; 20 executive residences; and an elegant 35,000-square-foot conference facility, including the largest ballroom in the Uptown Houston area. Located mere steps from The Galleria and River Oaks District, The Post Oak Hotel caters to business and leisure travelers alike with lavish accommodations, five-fixture deluxe bathrooms, three televisions, sophisticated technology, and unobstructed views. While the standard guestroom offers 500 square feet of luxurious and abundant living space, the immense 5,000 square-foot, two-bedroom Presidential Suite is the most opulent of them all and serves as Houston’s unmatched, ultra-luxurious suite offering extra concealment and discretion with private elevator access, media room, exercise room and secluded terrace. Unique amenities include a two-story Rolls-Royce showroom and on-site Bentley and Bugatti Post Oak Motors dealership, as well as signature restaurants including the celebrity acclaimed and Texas’ first Mastro’s Steakhouse and the relocated and reinvented, Houston-favorite Willie G’s Seafood. The Cellar, the hotel’s expansive wine collection with over 20,000 bottles, offers guests and restaurant patrons access to more than $3 million of the world’s finest wines including vintages dating back to the 1800’s. Additional offerings for an effortless experience include the indulgent Post Oak Spa, Salon, and the hotel’s fashion-forward boutique, 29o North. The Post Oak Hotel is among 35 properties in the nation honored in the Preferred Hotels & Resorts Legends Collection, receiving the brand’s top-level accreditation for its high-quality standards and unparalleled service. www.thepostoak.com.